The Black Stallion’s K Club exclusive membership offers rental guests a variety of added perks and benefits during your stay. Kitty Hawk Kites offers exciting and thrilling experiences in a wide variety of unique Outer Banks activities. 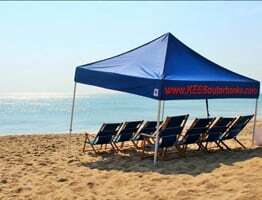 Whether it be hang gliding, kiteboarding, jet skiing, or surfing lessons, you will receive special K Club rates and free delivery on rental equipment. Corolla Outback Adventures offers a $5.00 discount per guests to ride into the Corolla Outback past the roads end, traversing several refuge areas and sanctuary sites like the Wild Horse Estates Conservation Easement. Learn the history and local lore discovering what makes this part of the Outer Banks unlike an other place on earth. Island Photography offers a 10% discount on family portraits capturing the beauty that is unique to the Outer Banks while commemorating the beach vacation! Check out their website at www.IslandPhotography.us. Outer Banks Jeep Rentals offers a 10% discount on rentals. 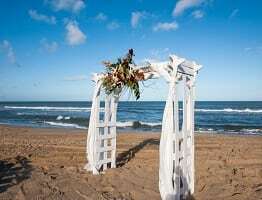 Take a 4 wheel drive rental on a first class experience of fun and exploration while visiting the Outer Banks. These jeeps are great for seeing the wild horses of Corolla or just picnicking on the beach. K Club offers exclusive transportation services for our home to Kilmarlic Golf Club. Take the hassle out of who is driving! For a minimal price the K Club Van will deliver you from your home to the Kilmarlic Golf Club and back to your front door after a relaxing round. Call our special K Club phone number, (855) 355-2582 and a K Club Concierge will reserve tee times, arrange transportation and answer any questions you may have about K Club.